36 V, 4.0 ah Lithium-Ion battery. The AP 200 offers excellent run times on our cordless tools. The battery has an integrated LED charge indicator, clearly displaying as and when the battery needs charging. Compatible with the AL 100, AL 300 and AL 500 charger unit. Compatible with the STIHL cordless power system. 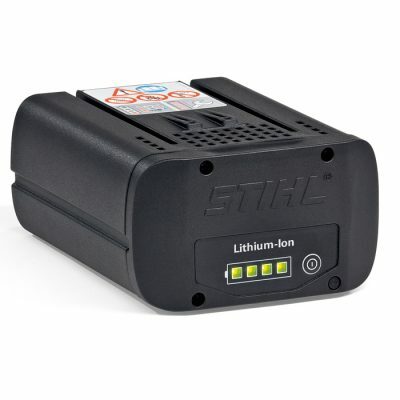 Light weightm 36v Lithium-Ion PRO battery with charge level indicator (four LEDs). Perfectly suited to run the HSA 66 hedge trimmer, FSA 65 grass trimmer and KGA 770 sweeper. 76 Wh battery energy, weight 0.8 kg.